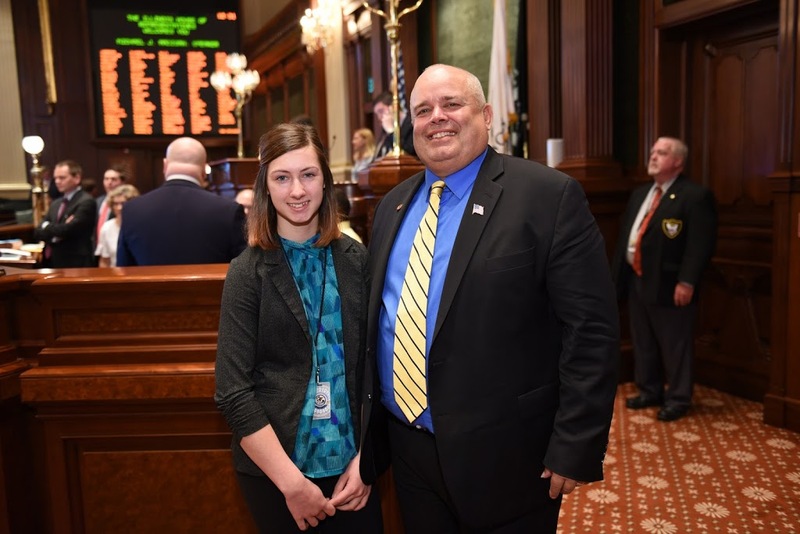 State Representative Dan Swanson hosted Knoxville resident Alison Siever as an Honorary Page in the Illinois House on Wednesday, May 17. Alison is a student at Galesburg Christian High School where she is an active participant on the Volleyball, Soccer (Captain), and Cheerleading (Co-Captain) teams. She is also the upcoming President of Year Book, and a member of the Journalism and Drama Clubs as well as serving in 4-H, AWANA leader in training, as a past member of Senator Weaver’s Youth Advisory Council and is active at Community Bible Church. Alison is #1 in her junior class rankings.